The efficiency and usability of Keyshot is impressive. I do like the interface and all the settings. The new animation tool is very handy and smooth, it is very easy to edit and preview the animation. I dislike that how I import new models or scenes to Keyshot and I have to redo all the settings to the model, like material. I don't like the group feature either, it is difficult to use. Try it, it is very easy to hand on. I do like the animation tool which you can make a animation rendering very easy and quick. It can showcase your design in a motion, which is more straightforward and clear. I am a designer, I use keyshot to render my designs and showcase my design to clients. I do enjoy the efficiency and quality of Keyshot. I used Keyshot to render my shoe design, which is very complicated on the surface and material rendering. But Keyshot did a great job on rendering my shoe. Now I am doing robot design, which includes lots of parts, I really like the glossness of metal. "Simple Yet Highly Capable for a Rendering Software"
- I can easily drag & drop files to import to the scene, without having to open a dialog box. - It supports a wide range of diferent filetypes for importing. - Intuitive and simple ways to assigning, replicating and linking materials. - Materials are classified into different types with different controls. It is very easy to grasp how they work and when to use what. - Setting up a scene is very quick and easy. You just need an HDRI, a background image and of course your subject. - You can just render an image right away with standard settings and it will look wonderful. - You can tinker with a few parameters and get a very quick render or very detailed highly photo-realistic images. - It gets shorter to get renders compared to earlier versions. I have been using the same PC for a long time but my render times got somehow shorter. - You can choose how many CPU cores to use. Very useful when you have to run multiple programs simultaneously. - You can easily prepare simple animations. - Material and rendering quality is great. I had several coworkers and clients mistaking render images for photos. - You can have a variety of channels for post-production. I save a lot of times on my stills using extra channels. - Framing, sizing and resizing the software window and rendering area might get hectic at times. You might easily lose your original aspect ratio and image size unless you lock it before moving on to variations of your subject. - It still struggles with interior rendering. Still needs developing. - Clown Pass is very useful but it should let users choose which color to use for different objects. - Sometimes you import the same file but with updated geometry, and suddenly scale of the scene messes up. - You should carefully plan layers and object groups before importing. You can still ungroup and regroup certain objects, but it still needs developing. - Sometimes metallic paint presents a flake pattern that can get annoying in close-ups of hi-res images. But not always. - Interface and mechanics of adding, deleting, naming/renaming and locking cameras need to be developed. - If you want complex movements for camera or objects, you need to work around your way, because animation module is clearly intended for very simple animations. Keyshot is very easy and it offers very good quality. Realtime ability is very useful to determine if you are moving in the right direction, without having to spend too much time on rendering a still image. If you intend to use it for product rendering, just get it. Bear that in mind that it has a CPU based engine; GPU-CPU hybrid or sole GPU rendering is not available. I prepare photorealistic moving and still images of new product and architectural designs. Sometimes I use its live view to show and review a project with my clients or coworkers without having to render scenes. Although it got more complicated controls and settings as it evolved over the years, it is very easy to learn and use compared to other rendering engines. This helps a lot while working with new coworkers and interns. Thanks Erdem! We just released an update that improves the speed and handling of complex scenes, brings more capabilities and improvements to clown pass, and adds additional improvements for other materials. We really appreciate the input and I think you will like what's to come. Thanks again! Keyshot does not make use GPU hence the rendering time is by far worse, specially for animations. One needs to have a super computer like processors with more number of cores. However most of the professionals around the globe rely on GPU's. As we usually require GPU for most of our animation applications. So when you are rendering an animation on this software, its a bit disturbing to see that CPU is being used at its 100% while GPU is not being used at all and as a result you end up waiting too long for the final results. I have a i7 (7th gen) clock speed is average 4.2 but for one simple animation of say - 60 secs. (1080p 60 fps). I have to wait for a few hours. I would definitely like to check V ray and other software and how they stack up against this one in terms of rendering speeds. For image rendering of products, no need to think twice. Its all that one may require with all ease of use. As an industrial designer I take care of all the visual appeal of products that go out of our manufacturing unit so keyshot helps in getting realistic renders even before product is ready for manufacturing. I absolutely love Keyshot. It's my program of choice coupled with Solid Works for the foundation of the 3D files I use. Using realistic physics engines Keyshot always produces superior quality renderings that blow away clients. This may not be as relevant to the program itself and more just my personal system. I run Keyshot on a boot camped MacBook Pro. Probably not ideal for taking advantage of the programs power. With using a MacBook Pro comes slower rendering speeds and a very noisy corner in my office while my laptop prepares for take off. As mentioned previously, this is not as much a Keyshot problem as it is my own. I'm provided a brief with an event, whether that be a pop-up experiential campaign or an expo booth, using Keyshot allows me to produce renderings of what that event or booth will look like with a much more realistic visual. Of course this is after a 3D modeling phase and followed by some skinning in Photoshop, however, this program has opened doors to a consistent "WOW's" during client proposals. Thanks for your review Jared! Great to hear how you use it and how it has helped. Just for your reference, on Mac we recommend Mac OS X 10.8 or above. In the meantime, here's hoping we see SolidWorks for Mac in the future! "keyshot 6 - A brilliant update to get realistic renders quickly"
There are few imperfections still in terms of transparent / cloudy materials but with a little effort and time with a bit of fine tuning the parameters the required realism can be got. A perfect rendering tool for product design studios as well as engineers, not that effective for automobile objects but it does do reasonably good job. It allows import of a wide range of 3D files and makes the importing and updating process of the 3D files a breeze with the help of multiple options and features. Keyshot helped me convey my ideas to clients quickly , and allowed me to experiment as well as change ideas and thoughts very efficiently and easily. Thanks for your review Ujwal! If you like the advance material creation, you'll love the new features in KeyShot and the new materials. There is now a Cloudy Plastic material that will give you what you're looking for with transparent/cloudy materials. The best use of keyshot is for quick renders! Although it is great for setting up your own scene and creating your own lights. I find it shines best when I need to render a work in progress or want to show off a model in a hdri scene. Im able to export a obj from my software of choice, then just bring it straight into keyshot and start applying their premade materials. The program is also very easy to use when it comes to materials and editing them yourself. My biggest issue with keyshot is setting up your own lighting. I find it much more difficult then your traditional render softwares such as vray and corona. The pre setup lighting in keyshot is fantastic, however i feel limited because I am struggling to learn how to setup my own lighting scene. Just give it a try. I was hesitant because of my love for v-ray. However it is truly amazing. The eaze of just dropping a obj into the program and doing quick wip or turnaround renders is so easy and time saving. With a company such as steelcase who produces a lot of furniture, it is super beneficial to take a chair and put it into a HDRI room and render it. I have created several renders of furniture in HDRI environments that people have a hard time distinguishing from real life. Another great feature is the turnaround! I can take a product and create a short turnaround animation for customers to view. Keyshot is an amazing software capable of rendering incredibly realistic characters. It is especially powerful when dealing with substances like skin and metal. I'm highly impressed by the quality of keyshot's renderer. I don't like that it renders a lot slower than marmoset. My assumption is that it's rendering more data and drawcalls, so it takes longer to view your model-- however, this isn't very useful for real-time applications. The program is a bit pricey-- I'd shop around for other renderers before spending a lot of money on this one. I love that keyshot and zbrush are so easily usable together-- being able to send a model straight to keyshot from zbrush has saved me a lot of time in my everyday routine. Lighting ,,, and enviroment HDRI will limit ur design . "Fantastic software. Highly recommended. " Not only is it one of the most affordable rendering softwares, but it is also the most intuitive and easiest to use. You can use almost any model from any software and take advantage of a user-interface that is so simple, it almost feels like an app. The rendering is also very quick relatively speaking. I have noticed that getting light to shine correctly is somewhat odd. I tried to make a video in which a yellow light slowly started to rise on a moving car like a sunrise, but it came out really badly pixelated. It's possible I set it up wrong or used low quality rendering because I was in a rush, but it would be nice to have basic animations in lighting that you can just click to add such as sunrise or a moving light so the user doesn't have to create the light model and everything on their own. There is an educational version for very cheap for those who qualify for it and the support people are helpful and will work with you to get it if necessary. I use Keyshot to create images and videos for advertising my product. Keyshot is fantastic because it allows anyone, regardless of skill set, to model and render complex 3D images. It's great because it's not GPU based so it runs on any standard computer with a good enough CPU. Most 3D rendering engines require massive graphics processing so that's a huge plus. The other thing that's great is that it's relatively stupid friendly. You don't need to be a CAD modeler or take long tutorials to do basic stuff. I figured it out and had models rendered and animated in under an hour. UX is awful and the pricing model is a bit meh. They badly need to fix bugs and improve performance. You will look over these for the sheer convenience of how easy it is to use though. Great for beginners, power users will feel constricted. Power users however can use it to texture and render only and model in another software they like. "This is great app for render beginner/Junior level designers." The way that it is very easy to set up and love the drag and drop texture feature which makes it very user friendly. Also the instant render preview is awesome too. The fact that you will be able to see the rendering instantly without waiting or spend hours to render is absolutely great. I was fairly impressed by the new simple animation function added into Keyshot in Keyshot 5 which allows product designer like me create stunning little .gif for my products on crowd funding website. I hope there are more options to adjust lighting, I meant much more specific lighting placement and brightness etc. Also I wish there will be much more in-depth setting for models and also I think the animation effect can be greatly improved just like cinema 4D. I wish the requirement of rendering can be lower since not everyone has high end computer to run rendering. I wish the rendering setting option can have little thumb nail animation to tell users how and where it will change the rendering effect and end result. It's a very user friendly product for new/intro level to industrial/product design. It will take you couple hours maximum to understand how it works and you will be able to use it instantly to create great rendering for your 3D models. Don't be scared of it and just try to use it and it will make your design life so much more easier and the default lighting is already very good I rarely try to adjust the lighting myself. Nothing business problems but mostly I use it to produce rendering to clients. "A clever and intuitive 3D render Software"
As I said into the title, Keyshot is a great, clever and intuitive 3D render Software. First, I like his installation which is really simple, it's only takes 2 minutes, and take so much place into your hard drive. Then, when you launch the software, you can easily find your way : they explain to you how create an environment or just directly import your file. The real time render is a bit slow, for sure that will depend on which machine you are running it but if your 3D model is complex, you will way have some pain to use your computer. But the good thing is that you can turn off the real time render and so on , use your computer with all the powerness. As you may understood, I really recommand this software for everyone who would like easy, and nice renders for their 3D models. And the cost is not so expensive so get it now !! You can find it on the official website or with resellers on internet. As a designer, it's a really nice software to communicate your ideas in a short time. Freshly picked out from Alias or solidworks, you can in a minute process to a great render and after that put it in photoshop for post treatment imaging. I also tried the animation functionality for a student project and it's works really nice for basic stuff. "Awesome solution for fast and powerful rendering." What I like the most about Keyshot is the simple workflow offered by the software, everything is clear and intuitive. You probably have to know the 3D-softwares environment basics and if you don't you can pick up the basic rules of the software pretty quick and produce professional quality renders quite fast. There are a few details that sometimes interfiere with the softwares, some kind of "bugs" that can provoke the program shutting down unexpectedly. I've had also experience other errors when I update complicated geometries or models with lots of surfaces. Start picking into the materials and set up your own from the beginning, this way you'll have your own personalized material library in a couple of months. I'm currently working for a prototyping company so we usually give our clients many design solutions to the same problem, these solution translate commonly to physical devices. In my experience, a good render can sell ten times more than a written idea. So, fast rendering is good business. that i prefer in keyshot is that is very simple to use and its compleat , i'm designer so when i do a render i use generaly photoshop after so i dont nead a perfect rendect softwear very complex , keyshot is perfect , esy toput textures and modified textures (sise, orientation, contrasts etc) , you can modified lights , environements , bacground etc etc so finaly its very cool and symple , permet me to do quick renders before to use photoshop to do a more natural render. the principal problem is that is hard for my computer when i use keyshot , the softwear use all the power. but globaly for me its the only big problem , maybe for experts of 3D renders its too much simple but for me its perfect i'm designer i just want comunicate ideas quickly . esay to use so i'm very fast to do renders , permet me also to test the 3D with real textures and light during the evolution to looking if is ok or not. its possible to do quick animation so its cool to send quickly something in mouvement for the client to more imagine the final product. Keyshot is really easy to use, it's the best rendering software for begginers. It's really intuitive, you basically just put the texture where you want, define a vue and wait. The result is absolutely clean and professionnal. There is a basical white environnement, with predefine lightening that is perfect for showing a nice render of your object for a final presentation in few minutes. You can also change the preset too, you have lots of differents options for the background (pictures,colors..), the lightening ( shadow, contrast, add led, color..) and you can modify your texture (size, color, opacity..). Something that's great about Keyshot is that you can rotate you'r 3d object to change it position. To sum up, It's a very complete,fast, easy to use and proffesionnal software. Keyshot is less perfect for rendering architecture. I recommand it for industrial design and branding on object. Keyshot does have basic features : if you want to take your project to a higher level you may have to look at more powerfull/complicated softwares such as Maxwell. But in major cases Keyshot is enought. It's the very best rendering software for begginers, i recommande it to design student. It's very effective for product design and branding on object. Keyshot can help industrial designer to improve the quality of their presentation/project. It's a very easy to use and offer a fine result quality. I recommand it. Its a great rendering software and you can achieve realistic high quality imagery with few clicks and simple setup. The way you can use preexisting materials, hdri backgrounds and lights it's very fast and also the way you can customize materials by not only changing colors but importing diffuse, bump, specular maps to have a lot of control in the way that you want the object to look. The rendering time it's very fast and you can export animation and vr renders in a very easy and fast way. The animation wizard it's still a bit primitive, and it will be and improvement if the user could customize render passes. In the same way when you import models and use the wireframe material it tesselates the model and you don't longer see the good topology in quads but triangles instead. Get the free trial and see for your self how easy it's to render HD images with a very accurate lighting system and with few clicks. Product visualization and 3D rendering with a fast and accurate lighting set up. You spend less time in solving technical light problems and focus more on a look that you want to achieve and explore. "Great for Industrial Designers / Product Rendering"
KeyShot is an extremely powerful and realistic three-dimensional rendering tool, featuring many tools for creating photo-realistic product renderings. One way to add great dimension to your renderings is using KeyShot's depth of field settings within the camera settings, which adds a great level of realism to any finished product. Additionally the customization of textures and the ability to add your own really can take any great three-dimensional model to the next level, while adding needed contextual evidence that your design is realistic both in physical form and appearance. Another thing I really appreciate when using KeyShot is the ability to customize the lighting effects of each specific material. For example if I want one material to become more matte in finish while another to be more glossy, I can either choose those samples directly or customize them for a higher contrast finish. One last thing that I appreciate about this software is the overall versatility and quality of the results it provides. If I just need a quick rendering to prove the concept to someone, I can choose to use a shorter rendering time and scale the image down to cut down on time waiting for the image to rendering. On the other hand if I need to use my rendering in large format print or for a large viewing experience at very high resolutions, I have the ability to customize those factors in my rendering setup for exactly what I need. As a designer that level of specificity and granularity is appreciated and is really a fun thing to be able to have at my dispense depending on what I need. KeyShot isn't particularly user-friendly if you are new to using rendering programs and has many advanced features that can be difficult to learn without someone who already knows how to use it. That being said, there are a lot of great resources available online to help with beginners, because of how widely used KeyShot is in the industry for product designers. Another industry standard for video and photo editing software is growing compatibility with utilizing the GPU as well as the CPU to decrease render times and increase overall efficiency. Unfortunately this is not yet a feature that I have seen in my experience using KeyShot, and it would be great to see this feature come into play in future iterations of the product to take full advantage of the powerful hardware in most designer's workstations. KeyShot may not be the most user-friendly rendering program out there beyond its standard features, but it certainly delivers in its professional results and granular controls for demanding users. The customization and control KeyShot offers is next to none in my experience and it is my go to program for any three-dimensional rendering tasks for both professional and personal use. KeyShot provides me with realistic product renderings that add value to the final showcase of my work to both clients and peers. It is really invaluable to be able to create a realistic and detailed model that includes realistic textures, lighting effects, depth of field, and showcases the form factor of any design. KeyShot is also great because it is compatible with both of the primary programs I use to create three-dimensional models: SolidWorks (for more detailed/production-ready work) and Rhinoceros (for surface modeling and quick iterations). Another great feature that has improved my efficiency is the ability to queue a number of renderings from various positions around any product that I wish to render. I can set up anywhere from a half dozen to maybe twenty or thirty different camera angles, without having to set up each frame and wait for the rendering to complete before I can work on the next shot. The best of KeyShot is that is very easy to use. You set materials, environments and other things very easy. The interface is very intuitive, it helps to generate high-quality renders in a very short time. It is also to highlight library materials that KeyShot has. It has a wide range of materials grouped into different categories, where you can find wood, metal, plastics and others. Similarly, create materials is very simple, you only have to have the textures. I do not like the lights that KeyShot have as a material. I can not use them as I wish into my renders. Easy and fast. You do not have to set a lot of parameters or technical stuff in order to get a professional render. Unlike other rendering software, KeyShot allows you to generate renders in a very short time, I'm really surprised since I have generated renders of high complexity in a very short time, which allows me to quickly see errors or things to improve in my designs. "A software tool that quickly became indispensable." Intuitive creation of shaders which also helps educate on the composition of such materials. Wide array of acceptable 3D formats to render out. Very quick processs from start to finish in terms of creating striking images. It is also worth noting that there is a vast amount of stock material such as textures, materials and environments that enables one to immediately jump into the worl of 3D visual graphics. On very rare occasions 3D geometry will not show up; this is often when objects are 'extrusions' and can often be worked around by meshing NURBS surfaces. Sometimes the cameras can also be incredibly glitchy with regards to just losing objects completely in the ether. The orthographic cameras can also be problematic, often intersecting with a model. If you are working in product development and looking for imagery that is more than explanatory just, but stunning, then look no further. Get the beautiful and crisp renders you've always dreamed of with the minimum of effort. The official KeyShot videos on YouTube are invaluable as assistance to the learning process and should be referenced immediately; if anything to inspire what is possible. Realising product ideas and giving realistic renders that enable communication barriers to be broken down in relation to talking about material quality, visual impact, form, proportion and finish. Main benefits have included the speed with which I can work as well as an incredibly intuitive interface in addition to tools for creating animations without the need for any complicated workflows. "KeyShot is simply the way to go!" As a KeyShot user since version 1.9 (HyperShot-KeyShot) I can proudly state that this real time renderer has aided me a lot trough out the years in 3D scene, not only it is user friendly but also it gives all the necessary tools to bring your 3D object to life within minutes, and it keeps getting better with each new release! Despite the fact that KayShot is the most popular renderer, it still has some things to improve. With that being said, I would like to see some improvements in materials compartment, texture mapping seems a bit to poor, other than that there are no more major dislikes that I have, because renders are being post processed in other applications. I definitely recommend KeyShot to anyone starting from beginners to experts who are looking to get 3D realistic renders of their products fast. Concept design prototyping, is the industry I am in right now, and realistic renders are the must when it comes to presentations. "Keyshot my rendering tool !" Keyshot is very easy to understand and to use, very interactive and gives quickly good visualisation of your design with just few settings. The menus are easy to indentify and intuitive. You can also easely create some simple animations with an animated tool which helps you to previsualize the animation, and it's still very intuitive. The only problem I meet with key shot, is the quality of the shadows which is sometimes not diffuse but in a blocy way, and the quality of lights which sometimes too blade, it need more sensitivity, more warmth, and you need some photoshop corections to realy have a high quality render. We use the expression 'key shot render" to identify renders which are not so charming, a bit too cold, without the sensibility of light shadows and texture you have in real life, and in communication renders. I'm a transportation designer, I use key shot for all my renders and presentations with few correction on photoshop. I won a lot of time with the simplicity of key shot even if some renders could need photoshop corrections, but regarding more complexe renders, as a designer and not a 3d designer specilized with renders, the simplicity of usage of key shot is very comfortable and so usefull. "Keyshot is a game changer"
The pure speed and versatility of Keyshot is amazing. I'm always a working on multiple projects at once and to be able to texture, light, and render my models in real time is priceless. Keyshot has saved me so much time. Things that would take me hours in other packages with renders alone, take me 1/5 of the time. Just amazing speed and tackles any project like a champ. I can't think of anything I dislike a out Keyshot but I would like to see a little more options in terms of render passes. I think adding some passes like Reflection, Ambient occlusion, etc... would really help. I work in Entertainment Advertising and a lot of problems we face is trying to get really large renders for large prints in a short amount of time. That's why I use Keyshot. Once I started integrating Keyshot into my workflow, I realized how easily Keyshot handles large renders and how fast it can turn them out. "Simple and user friendly rendering tool with wide features"
The most wonderful in KeyShot is user friendly interface and absolutely simple settings. I'm a designer, creating conceptual visualizations. So sometimes I need to compose many 3D objects in one scene, and frequently the situation requires to compose absolutely various objects with various formats and render it together. KeyShot gives me this opportunity. Besides, I can create many various materials from ready ones without problems and have great result. The big plus is the possibility of integrating of simple geometrical figures into the scene. Impossibility of simple modelling. This product would be perfect with this feature. I'm a designer, who creates conceptual visualizations for business presentations in agencies (B2B segment mostly). KeyShot gave me the opportunity to use 3D for my needs without deep immersion into 3D modelling process. But as a bonus, I was inspired to start my study of Cinema 4D after I've worked with KeyShot a lot to create complicated objects by myself, without help of 3D modellers. I think the best feature of KeyShot is how user friendly the lighting environments are, and how they will look pretty much exactly how you'd expect them to in your final render. Some other rendering software relies on the user to place each light, I am not a photographer or lighting expert, so those always come out with intense highlights and dark spots or backgrounds. KeyShot takes all the guesswork out and reliably produces a nice clean soft light for matte objects, with the option for other lighting patterns for glossy objects. I find adjusting the scale and orientation of patterns like carbon fibre and wood to be quite tedious. They are often set way too large by default. It is also a pain to move models around in the environment, specifically if they need to rest at a tilted angle. Adjusting the angle as well as the height separately to make sure it hasn't dropped through the floor. And finally, I wish it were easier to layer materials on a model. Instead of always having the next material replace the previous, but to easily add textures or other effects on top of what is already there. Rust for instance. If you'd like an easy to use rendering program, look no further than KeyShot. I render products for display. KeyShot is very fast at giving a very good definition to subtle forms. "Amazing and surprisingly useful, hope that I could have used it longer:)"
The rendering effect, as well as the possibility of import SolidWorks models. The effects are realistic, the speed of exporting is moderate and higher than anticipated. Moreover, the animation possibilities are also powerful for me to generate amazing effects. Sometimes the starting up scene might turn black (primarily because of my CPU storage is insufficient I guess), however, it did caused confusion to me for the first few times. Other than that, I believe it would be the short period of trial licence haha! I believe it is worth a try, whichever 3D rendering software you are using. It has a rather fluent connection with SolidWorks, and it has a much faster speed compared with Blender when I used them to export. Overall, the product is amazing. This was a huge support for my final year project in Uni. I was able to render realistic models and animations from these effects, and the product looked real and the end result turned out to be good and amazing. As a Product Designer, I love Keyshot, I have tried other 3D rendering software but none comes to the same level of speed and quality of the final image. With keyshot, paired with solidworks, you can, in a matter of minutes, have your model rendered in studio lighting with a very complete texture library to chose from. The textures are very good, very customizable, you can literally replicated any texture you want. Model animations, and turntable effects are very easy to do. The drag and drop interface is very easy to use. Keyshot uses quite a bit of resources, If you have an older computer or a mid range laptop you can forget multitasking while rendering an image, Make sure you have, at least, a intel quad core i5 ou i7, and 8 gb of ram, minimum. Keyshot only uses your Processor, so make sure your have a good one, mine is a mobile intel i7 quadcore (asus N550JK) which is quite fast, bue a desktop sixcore or eightcore would be a lot better. I would like to have Graphics Card support, which would speed up the rendering process. Very Fast and photorealistic rendering. "A beautifully simple and intuitive rendering product that has hidden capabilites!" I really enjoy the "drag and drop" method of applying materials, lighting, studio, etc that keyshot has. It's rather intuitive and simple. The clean menus and importing of parts and models really speaks volumes to the work that was done to create this program! Not a whole lot to dislike other than the extreme burden this will put on your computer. Make sure you are using a capable machine before you start and save yourself some frustration. First, make sure your computer has the chops to handle the rendering. Second, the more you play, the more you will learn and discover the power of KeyShot! There are finite controls you can use, so make sure to look through tutorials and the user guide! I use this to bring photo realistic renders to clients. It can help visualize a design in great detail after you've done your CAD work and concept sketching. "Incredible rendering quality, really usefull software." As a 3D generalist I love keyshot because it's easy to use, and you can get the hang of it really quick, I have tried several 3D rendering software, and I found keyshot the most intuitive. With keyshot you can get really high quality renders, Its material and enviroment lightning allows me to spend more time designing than figuring out how to configure lighting or materials like any other software. Overall it's a really complete software, but sometimes I need to use a displacement map, and keyshot does not have that option. I use keyshot to create high quality renderings of the characters I design. One of the benefits of using Keyshot is that I don't have to spend time tweaking and setting lights and materials. I've always liked the rendering part, for me and my clients its the best way to represent something. But it's not always easy to find the time to do it properly. Hopefully there's Keyshot, easy to use still giving great results and full with features. The price is high even if it's reasonably high, reason why I didn't upgrade to the last release on my current job place. Technically talking it could make some troubles between all the file extensions it opens, so it needs practice to find out the best way to export the 3d file. It's easy, it's fast. This is what many works need and Keyshot helps a lot. "The best way I've found to render." Keyshot is an easy to use, extremely powerful piece of software that works for professionals as well as amateurs. It gives designers like myself an ability to experiement with material, texture, finish and color of parts of a design without having to hand render with markers which can take hours. Rendering is inevitably an extremely resource hungry endevor, and slower computers have a lot of trouble with it. If someone has a slower computer, the live render preview may not be giving them an accurate picture of how the final render will look and they wont be aware of changes they need to make until the render has fully processed, which can take hours. Research the minor adjustments that can improve the renderings, like texture scale, depth of field and field of view. "Keyshot- Best rendering software for simple and fast results"
It has a Material Library easy to customize, Hdri Library. Very easy to learn as begigner, friendly interface. Material editor is very easy to use to edit materials. Camera- very easy to use and have enough adjustments . Final render - usually a bit hard to achieve natural effect. Best choice for learning to render. Reccomand to small companies that have to provide good quality rendering in good time. Provide real time rendering/ Quick renders. "Keyshot has brought a fast solution to send customers more realistic images"
The simplicity of the software to get a rendering done and out using the basic options. When you want a fast turn around for some of your basic images, Keyshot makes it painless to get them done. The amount of time it takes to get the actual rendering computed can be long. I like the fact that you can put multiple renderings in a "queue" to render while you go do something else, but it does take a while to get done and uses a lot of computing power. You have the option of going to computing "farms" offsite, But I have not tried those as of yet. Getting the customer to better understand the end products visually is huge. They can really get a good look at the possibilities of the product before anything has even been produced beyond the digital realm. "A great tool if you want to produce rendering jobs and you are not a geek!" This tool is so easy to use that the first time I got in touch with it, I lost some twenty minutes looking for menus and options that simply don´t exist. You just have to drag the material to your 3d model and make some small tweaks. If you are working in product design research this is the render engine you need. Not so useful for architecture and interior design work. Sometimes, adjusting 360º panoramas as an environment can be a very, very difficult process. Mapping materials is not so difficult but using labels (textures printed on objects) can lead to a tedious and slow task. If you are in the product design research area, this is great. If you need to render spaces - in Architecture or Interior Design, you must look for other solution. Fast results when you need it. Excellent if you need to deliver some sketches to a potential client. The best rendering software I have worked with upto now, Simple to use and easy to understand. Lot of options given to use different materials and lighting setup all in realtime. Keyshot is so simplify it makes rendering easy to have a great image of your product. Plus they are always improving the software for better results. Material modification is great. Their Cloud material library is great. When having some parameters as Depth of Field, rendering time takes to long. Material modification is great altough advanced modifications is difficult. Keyshot meets the expectations that your are looking for for an accesible price. It´s easy to use as the interface is pretty friendly. Quality rendering with a great perception on the materials and reflections. "Keyshot is a great program for rendering"
Keyshot has a lot of tools and flexibility that allows you to render your design to any context necessary. If you still can't find exactly what you are looking for after looking through their libraries and adjustment abilities, you can even create your own setups and environments from any image (match the lighting, perspective, reflections, etc). I also love the feature of being able to set up a queue for all your renders to make your rendering process more efficient. I wish some materials could be a little more realistic such as the woodgrains. It would be cool if you could take and image of a wood slab, and drop it in, and have that object fit the volume of the solid you are working with. I wish it were a little quicker with updating as you work in the program, and not lag as you move or rotate objects. Label placement and scale has been a little strange for me as well. Another thing would be having the preview more accurate to what the final rendering would be. I find a lot of times, I'll set up an environment, to find it reflecting way to bright or show a material in an undesired way as it's rendering. Keyshot is great for creating close to real-life images of designs to show to clients. This helps remove any bias that might come from not being able to visualize the final product well. Keyshot is the good program for professional worker that can't spend a lot of time for setting a render but at the some time they need a good quality render visualization. Also you can import directly the 3d models from the native formats of a lot of different 3D modelling programs. You can improve the quality of your work because reduce a lot the time for produce the render. "Easy-to-use features and great library." KeyShot is very user-friendly, it has nice and simple interface that is easy to learn and use. Drag and drop feature is convenient. Good amount of material selections in the material library. I like the capability of customizing materials. Overall, it creates professional quality rendering. I wish KeyShot allows its user to open multiple tabs of different files at a time. Scaling and moving is sometimes difficult to control. I also do not like the fact that all the parts with the same colors are linked together when imported, I have to either charge colors of each part before importing into KeyShot, or unlink each material one by one after importing. KeyShot Float is a nice thing to consider if you have multiple computers and will not use them at the same time. It allows us designers to present our ideas and designs clearly to other departments and clients. We also use it to create renderings for use on brochures and catalogs. "A necessary tool that provides endless frustration"
I like that Keyshot can produce great looking renderings and animations. I dislike the cumbersome process of working between Keyshot and solidworks. While the plugin is nice for quick import, I find the "update" feature to be worthless. Applied materials suddenly jump around and nothing stays consistent. I prefer to re import my model each time I make an update just so keyshot doesn't switch a material around that I end up not noticing until I have already rendered. Sometimes I wait 10 minutes for an import to complete, only to have no geometry show up. Or random surfaces and parts will randomly appear. Or material differentiation will no longer remain. Assembly mates are not transferred into Keyshot from Solidworks. Moving parts of a model becomes an agonizing process. I either tediously translate and duplicate parts in keyshot, or import multiple models for the various movements. Importing multiple large assemblies ends up making Keyshot get incredibly slow. Solidworks 2016 has bunkspeed rendering integrated which could give keyshot a run for its money. The ability to be able to harness the mates and mobility of my model since it would never leave Solidworks is huge. Along with the aspect of never having to import. Keyshot brings in models at differing scales all the time, even within the same scene. Why is one imported solidworks file a scale of 1 and another .0023. Keyshot files easily corrupt when using the keyshot feature tree to restructure parts. Tech support acknowledged that this happens long ago, yet it has not been corrected. Over the years Keyshot has added so many different check boxes and options, and it really isn't clear what they all do or how they will impact my renderings. A popup description next to these items would be great. It seems like crap just keeps getting layered on and detracting from actually making a good rendering. At the moment keyshot will provides the easiest way to get great renderings. However many flaws within the workflow have the potential to cause a great deal of frustration. New products such as Bunkspeed integrated into solidworks, or Fusion 360 that include integrated rendering might give keyshot a run for its money. However it is unclear if their end product quality is better or not. We need to provide high fidelity concept renderings to our clients to convey ideas and move forward in a project. "The treat after creating a complex model"
Being able to apply real textures and color maps that pushes your model to the level. Amazing renders when quality setting are properly adjusted. The camera settings feature such a blurred and focused with dept perception also give a great touch to any masterpiece. Keyshot allows you to edit any material down to the decimal giving you complete control over your selected material. System crashs are the worse, which is extremely fustrating when working on a complex model. The perspective view is another problem when trying to adjust to an imported photo background. Lighting environments are also a testy problem and take a few moments to adjust to a decent a realistic lighting feature. Being able to fully edit your environment lighting by adding and subtracting light within the program. The main benefits of this program is the bump,color and label maps. Being able to duplicate parts and models is also a big help in this program. One of the best characteristics of keyshot is the fast improvement on each release, I start working with it since the first release and is impressive how much they have improve over the years. The interface is quite simple to use, so even if you are a beginner with non experience on rendering you can accomplish decent results in matter of minutes with out even get inside the HDRI editor or the editing materials. My main dislike will be the post process, I will like to have a basic contrast and levels for the output render, and more texture materials, for special effects. Also will be nice to have a texture editor to create bump maps. All those issues can be solve using post process on another software such as Photoshop, but will be nice to have it all in one pack. Keyshot has a pretty good forum community always ready for help and share. To learn the basics I will recommend to subscribe to his official youtube channel and check the webinars. Speed is the main asset for this software. Most of the time the client needs fast renders from several views on a short time or several color variations. "Keyshot helps me to improvise and be creative with nice and professionally results in a short time. " Hi! I’m a industrial Designer from Argentina. I use frequently KeyShot for all my Works and proyects. When im done with the 3D modeling of a product or an object in SolidWorks, I import the model into KeyShot without any problem and I instantly start testing differents materials, textures and lights in a really easy and intuitive way, thanks to his simple interface design. It is easy as you select the material that you want and drop it in the 3D model. Next I do many diferent reders, very fast, because KeyShot have a very powerful render technology and also, one of the qualities that have, is that is rendering in realtime. Everything inside KeyShot happens in realtime, thats aloud you to see the results of all the materials you chose and adjust the lighting and the camera really fast. The speed who brings KeyShot cannot be compared. So this helps me to achieve nice and professionals results in my work with really realistic definitions. KeyShot is a very powerful and strong tool and highly satisfactory, something that other software could not bring me. I highly recomend it and I assure you an excelent result in your proyects in a short time. Keyshot helps me to do something that no other software could…it helps me to improvise and be creative. And it’s fun. Sometimes I would like to have more variety of environment, have more options epecially on outdoor and incide lighting enviroments. Also more backplates will be great. The textures could be better but you can adjust all that kind of editions if you like. I use KeyShot to create photorealistic images or renders of my 3D models of any industrial-commercial product, decorative objects , furnitures , electronic devices , etc. Also I create animations very fast and uploud the data directly to the web ( KeyShotVR ) for sharing my work and proyects with everyone more profesionally using only one link. "Keyshot Review - Positive experience overall"
I like how easy Keyshot is to use. Simply drag and drop the type of material you want, and it immediately updates your model visually. Compared to other rendering software I have used, Keyshot has less versatility and functionality. For example, I have done a lot of work in Blender's Cycles rendering engine, which gives almost limitless control when it comes to rendering complex textures, and this is something that Keyshot cannot do. Keyshot is great for some things, but it's always good to pick the type of 3D software that's right for your needs. In my experience, Keyshot is really good for very fast, quick renderings for industrial design and engineering, but it's not good for more complex rendering tasks such as concept art. I am currently an industrial design student, so I have used Keyshot as a means to render many of my projects over the years. I have also done some freelance industrial design work where I used Keyshot to produce renderings for my product design concepts. "Easy and fast way of rendering products. My creativity has never felt so free." Easy of use and quick and interactive learning progress. I'd say that one can learn how to use KeyShot and all its features in about one week of intense practicing. That is so little time for learning a software that will give you stunning, pro-looking product renders in a fraction of time. This, however, doesn't mean that KeyShot lacks of features. In fact, the opposite applies – this rendering tool is provided with many controls and fine-tuning adjustments. Also, the built-in material library is astounding, ad the HDRI editor is amazing. That means that, in 90% of the time, KeyShot will allow you to get just the picture you had in mind. In addition, the animation feature comes in handy. As you'd expect, it's very simple and easy to use as well. If you know the basics of timelines and keyframes, you'll master this feature as quick as the blink of an eye. Despite the ease of use, quick learning and great flexibility, KeyShot has its downsides. I've been using this software for about three years and I've been thinking on moving on to a more professional rendering app. Sometimes, you'll notice that the renderings don't look as photorealistic as you'd expect, specially if you're working with a scene with more than one element. The best looking pictures you can achieve is by enabling the "Interior mode", that simulates light rays bounces closer to what happens in the real world. But it's still not real enough – the ambient occlusion doesn't always look right and the overall picture look somewhat fake and with no depth in colors and shadows. Sometimes Photoshop can solve this problem, but it's something that could be avoided by introducing a better render engine (without increasing rendering time). Also, another detail that bothers me is the disappointing depth of field option. It always looks grainy and fake, and adds up a lot of rendering time. 3D visualization and concepts renderings generation. I've accomplished a fairly good number of positive feedback on YouTube, Behance and some tech news websites with my devices and design concepts of future products. I use Keyshot for my design studies for 4 years now. I learned everything by myself and the software is really intuitive and easy to handle. This software can import a huge number of files with a large range of extension. Moreover, a direct link with HDRLight Studio is build with the software, you don't need extra plug-in. During using, you will find a large default library of material (split in different categories), environement and the Pantone colors too. Camera are also really easy to move, especially with the "look this point" option, which allow to select directly a focus point in the scene. About the renderings, you have not so much settings to manage, "time" or "quality" are clearly enought and the ratio quality/time is really good. Another thing interesting is the "Rendering queue". You just have to set a view, add to the queue and move to the next one. At the end, just start the queue and wait for all. Keyshot can also render animations, and you can set keyshot to render it frame by frame or directly in the movie. Globally it's a good software, but it's not possible to use displacement map for texturing and the output channels can be better with a shadow channel. But this is just few details if you want something really perfect. A really great software to start with rendering softwares. I use keyshot for my differents design project to have a good realistic overview/details in a short time. "Beautiful results, but not so easy to learn"
You receive a standard list of materials, colors, environments, backplates and textures to use. You can choose how much power Keyshot uses from your PC. If you don't use all the CPU cores the rendering can be done in the background. I found it difficult to add different material styles or colour to a single part. I also miss a good plywood texture for bended plywood and an easy way to add correct wood texture to wood. There are not much extra free materials. A good render saved us several real live samples. Much clients can't imagine how an object will look like with only technical drawings, so a good render is needed to understand what we designed. Keyshot is an excellent software, is very light to be supported by our computers, it has broad compatibility with 3d modeling software, is easy to learn and use. I would like know more about how create my own materials, i dont know if keyshot has a web portal with people sharing materials these is always a good idea. Prepare scenaries to render was always a slow task, it improves with keyshot because it has a very good library to get good results without wasting times also is easy edit them. "KeyShot is the best at creating fast, amazing and accurate visuals"
I like that the complimentary trial provides all the functions, so you can really see if the program will be helpful to you. I actually like that it assists offer customers a more sensible visual of my work. I do not like that it takes a lot area on your computer system, and is quite sluggish to download. It is likewise costly. I really like that it helps me give clients a more realistic visual of my work. "Create render with 3D files"
I like the simplicity to use this software, and the rapidity you can get satisfactory results. Lots of materials are already ready to use, and you can import other with simple tools. HDRI support is also intuitive and qualitative. Real time render allow you to view directly if the result match with what you expect. You can hardly edit 3D models you import, such as moving individual parts. The ease of use of the software make it difficult if you want to go deeper in the quality of the render. Even if you can manage a lot of parameter, you can't expect having a photorealistic results. Keyshot provide very good renders rapidly without modifying too much parameters. However you don't get as good result as integrated 3D tool such as V-ray. I'm doing rendering to present 3D representation, The benefit i get by using Keyshot is geting quick quality renders. In Some minutes, you can place material and adjust them on depending on your needs. The files that you end up with is directly usable in photoshop. In this way you can edit easily and instantly by selecting textures in photoshop thanks to multilayer psd generated from keyshot. 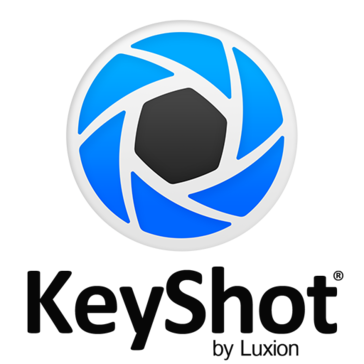 * We monitor all KeyShot reviews to prevent fraudulent reviews and keep review quality high. We do not post reviews by company employees or direct competitors. Validated reviews require the user to submit a screenshot of the product containing their user ID, in order to verify a user is an actual user of the product. Hi there! Are you looking to implement a solution like KeyShot?